Fancy being a brewer for the day? This is the ideal gift for someone with an interest in beer who wants to know a little more about the art of brewing. It also makes a change from all those cliched hot air balloon rides and fast-car track days. For just £119 for a full day including a light lunch, you can get hands-on, making a beer yourself whilst gaining an understanding about the brewing process. Once the beer is ready, about a week later, you can collect 18 pints of the brew you helped to make. 8am – Arrive at the brewery and get stuck in straight away with measuring out the various malts for that day’s brew. 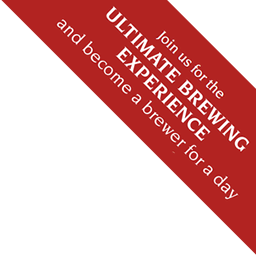 9.30am – Talk on the technical aspects of brewing Part 1. Malting process through to mashing. 11am – Sparging. Separation of wort from the mash into the copper. 1.30pm – Time to dig out the mash tun! 2pm – Getting the boil underway and addition of hops. 2.15pm – Talk on the technical aspects of brewing Part 2. The boil, hops, yeast and fermentation. 3pm – Ready for the collection. Sanitising the heat exchanger and fermentation vessel. 4pm – Collection of boiled wort and pitching of yeast. 5pm – Time to go. This experience is available on Tuesdays and Thursdays for up to 4 people at a time, so it is ideal for friends to do together. It can get mucky so practical clothing and footwear, like Wellies or boots, are advised. A disclaimer will be provided. This must be completed and submitted prior to the experience day that has been booked. All participants will receive a copy of our Notes on Brewing. We can recommend local accommodation, either B&B or hotel, if required. Call 01277 200483 or email us at [email protected] for details on availability and to make bookings.